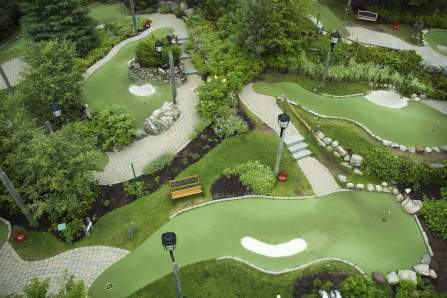 Are you looking for expert mini golf course builders to make you a world-class course? Then let the team at Mini Golf Creations look after you. Our founders are lifetime golf enthusiasts who know the mini golf industry inside out. We can design and build you a custom-made mini golf course that will not only stand out, but also attract customers and entice them to play it over and over again. We’re based in Brisbane, but it doesn’t matter where in the world you are. With our global partnerships, we can build a course anywhere around the world. At Mini Golf Creations, we’ve assembled a team of the best mini golf course builders you’ll find anywhere. That’s because we’ve chosen people who aren’t just good at their job, but who also love golf. This applies to our team leaders, as well as our foremen and construction crew. So everything we do comes from a passion to create a superior mini golf experience. Whatever your vision is for a mini golf course, we can help you bring it to life. We will consult with you right throughout the concept and design stages to get your course exactly right and ready for construction. Or, if you know you want a mini golf course, but aren’t big on the creative side of things, that’s fine too. We’d be more than happy to design you a mini golf course from scratch based on the details of your proposed site. 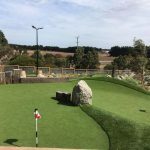 Our decades of experience in the golfing industry mean that we are never short of inspiration when it comes to creating a beautiful, functional, and attractive mini golf course. We build mini golf courses that capture everything great about real golf. There are no tacky gimmicks like clowns and windmills or plastic animals here. Unlike the old putt putt courses, we don’t rely on cheap and outdated novelties to create a fun experience. 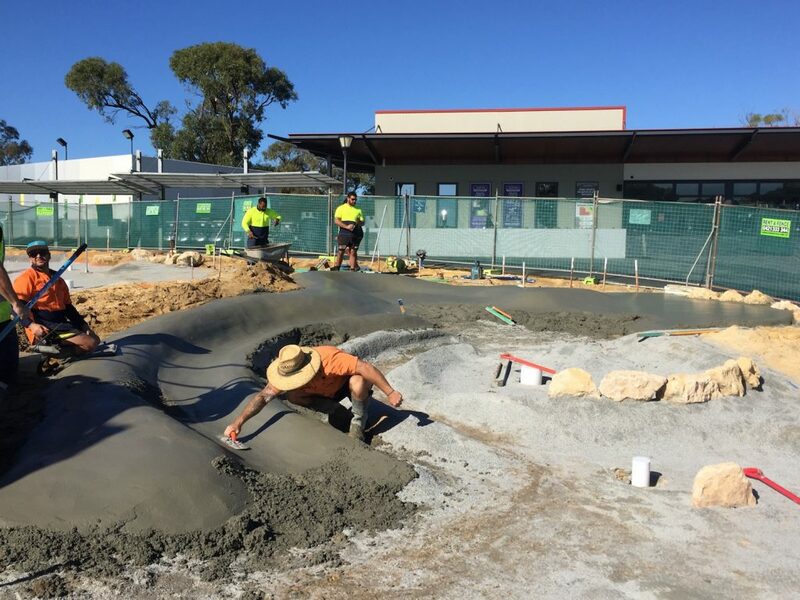 Instead, we build real water features, sand traps, and contoured surfaces to bring the game to life. When you build a mini golf course with Mini Golf Creations, you have a course that can be enjoyed by everybody: children, adults, and even golf pros! Take a look at some of the projects we’ve undertaken recently. As you’ll see, we’re miniature golf builders with an eye for detail, fun, and superior gameplay. 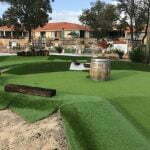 To find out more about Mini Golf Creations, the expert mini golf builders, contact us today. We love talking golf, so we’d be more than happy to chat to you about building a mini golf course like no other, anywhere in the world.